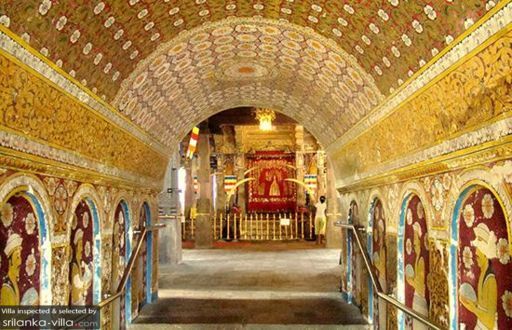 One of Kandy’s most popular attraction, the Temple of the Tooth hosts a sacred and highly revered Buddhist object, the Tooth Relic. Red-roofed temples within the complex flank Kandy Lake. The non-descript exteriors of the temple belie its richly decorated interiors. Adorned with wood, ivory and lacquer, the interiors also contain beautiful and intricate carvings. Do not expect to view the tooth, for it is kept in a gold casket crafted in a form of a stupa.